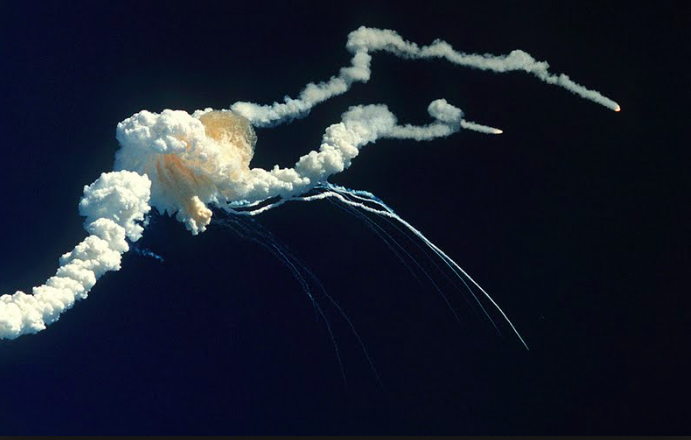 January 28th, 1986 the Challenger Space Shuttle finally took off after many delays and concerns about safety. The mother and father of teacher-astronaut Christa McAuliffe were watching from the stands, news cameras trained on their upturned faces as the shuttle exploded. Fine, but I have to ask it. Have to go through the center of it. away, disperse, do not meet here. Every day this week fresh, wet artworks have been ferried from Nusakambangan in the hands of Myuran Sukumaran’s family, frien ds and lawyers. Along with other prisoners on death row, he refused to sign the papers for his own execution. Instead, he painted this picture, inscribed “Satu hati satu rasa didalam cinta – (one heart, one feeling in love)”, and the other prisoners signed it, including Mary Jane Veloso, who wrote “keep smiling”. When the family representatives brought to the island as part of official proceedings heard the volley of gunshots just after midnight, no one had told Mary Jane Veloso’s sisters that she had been removed from the list. In the Phillipines, the woman who took her to Malaysia, and organised for her to be given a suitcase, has been found. Mary Jane Veloso is still living, and will be returned to her original prison. There are still over 40 prisoners sentenced to death execution for drug-related offences in Indonesia, including Mary Jane Veloso. We hold journalists and television reporters low in our esteem; in 2014 they were ranked 18th out of 30, a consistent downward slide. Australian journalists who worked this long, painful shift in Indonesia, living alongside the families of the prisoners in Cilacap’s hotel, deserve better. Their words have often been all we’ve had to follow, and their exhaustion and trauma must be extraordinary. And now, where do educators go with this? What do we do with what we learned about ourselves, our world, its rapidly changing media infrastructures and networks, and the thoughts of others around us? If our attention were to be truly altered, as de Certeau puts it, by these deaths and all the words and paintings that this burning puzzle flung out—what would we see, what should we do? I suppose it’s like the ticking crocodile, isn’t it? Time is chasing after all of us. Australian politics is frozen in mid backflip over the shark, and I’m still stuck on the Treasurer’s claim back in January that we need to shore up our public health system to prepare for Australians living to 150. The precision of the Treasurer’s belief is relevant. It comes from longevity research, where 150 is indeed the number thrown about. There are strange characters in this field, and probably the strangest of them all is the bearded British eccentric and self-taught biogerontologist Aubrey de Grey, who’s one source of the idea that the first human who will live to 150 is already alive today. He’s the “Chief Science Officer” and co-founder of the SENS Foundation (“Strategies for Engineered Negligible Senescence”), and also co-founder of the Methuselah foundation. His TED talks are mesmerising. Google has also invested heavily in longevity research through the California Life Company initiative, Calico (“We’re tackling aging, one of life’s greatest mysteries”, although “as we make early progress on our research and goals, our capacity for handling press inquiries is limited.”). Despite not having time to talk to the press, Calico is now in a $1.5b partnership with pharmaceutical research company AbbVie; extending life makes sense to the markets. Because extending life is still medically speculative, the Palo Alto Investors LLC has set up a $1m prize focused on proof of concept. For now, the prize is hung out for those who can prove it’s possible to extend homeostatic capacity in mammals. Homeostatic capacity is the natural ability to repair after damage and recover well from illness, and if we could only stop it degrading over our lifetimes, we’d be able to kick on for much longer. A normal 25-year-old has a one in 1,000 chance of dying from outside forces in a given year. If declining homeostatic capacity were not a factor, a 1,000-year healthy lifespan is theoretically achievable. The mortality rate of a healthy 15-year-old is 0.01 percent in a given year, which could theoretically translate to a 10,000-year lifespan. To be sure, immortality is not the explicit goal of the Prize, but the successful abolition of aging would certainly make death the next target. “We hope that, if we are successful … sustained homeostatic capacity will have the consequence of making death a statistic rather than an inevitability,” Yun said. The ethical questions here don’t need underlining. This is the meat and potatoes of science fiction: when research succeeds in abolishing aging (or “curing death”, as Google puts it), not everyone will have access to negligible senescence technologies. There will be industries and markets and scarcity, and price will be manipulated by the usual corporate hoarding of patents. Not everyone will be a winner. So this is why extended longevity of the 150-year kind should feature in Australian healthcare planning. It’s not because frail centenarians will be clogging up the public health system, but because the prospect of living to 150 is the kind of thing that ratchets up demand for private health solutions, puts the fear into financial self-management, and widens the gap between Australians who can pay for upmarket services, and Australians who can’t access the basics. In other words, it’s exactly why we shouldn’t be stripping down our public health services as we wait for the miracles to come. It’s been a terrible week for contemplating the horror of dying by execution, as we’ve all not looked away quickly enough from the blunt evidence of human cruelty. Suddenly our social networks are filled with images and videos of bleak and lonely deaths driven by a simple calculation: that because humans want to stay alive, and are loved with intensity by others, then human life itself can be exploited, weaponised, haggled over, and finally thrown down in the war on one thing or another. And now two Australians are waiting to be executed in Bali for organising an attempt to shift heroin into Australia in 2005, that failed spectacularly when all nine involved were caught. They have been in prison for ten years, living their lives and waiting for this shoe to fall. One has become a pastoral leader, and the other a painter who runs art classes for other prisoners. The apparent justification is that shooting them now, after all this time, will make others think twice about participating in the distribution of illegal drugs. Prominent Australians who have used heroin and lost children to heroin have argued against this with compassion and respect. There has been a wide and concerted campaign across the Australian media asking for clemency. Artists, musicians, lawyers, senior clerics and writers have spoken up, and are continuing to call for hope. And yet there they are, waiting to be killed for decisions taken 10 years ago. Their mothers are with them. I don’t know how they’re still putting one foot in front of the other, knowing the separation that’s ahead. I would not. Even the most tough-talking death penalty proponent hasn’t put forward a justification for this extreme punishment of their families, whose distress and dread is overwhelming. So that’s why I’m in furious agreement with everyone writing, singing, speaking, holding vigils for mercy for Andrew Chan and Myuran Sukumaran. It’s because they’re human, and because human mortality shouldn’t be exploited to punish or terrify, any more than it should be trivialised as a medical problem waiting to be fixed. * the title of this post comes from ‘Nothing is Made New‘, a poem written by John Kinsella and delivered to the President of Indonesia as part of a plea for clemency for Chan and Sukumaran.